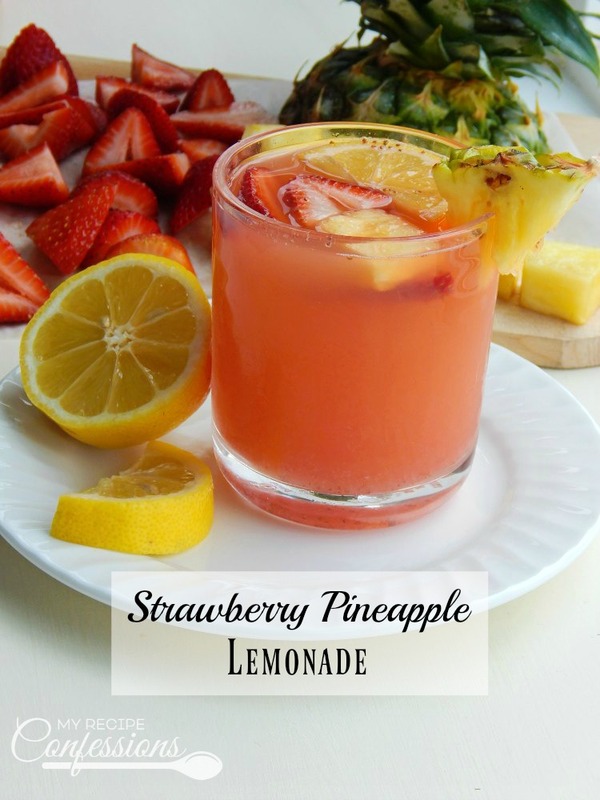 Strawberry Pineapple Lemonade is one of my favorite drinks! The vibrant fruity goodness always quenches my thirst. 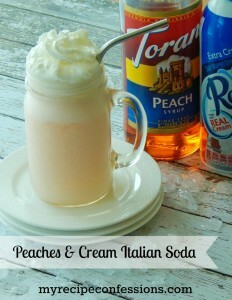 One of the great things about this recipe is that it is so quick and easy. 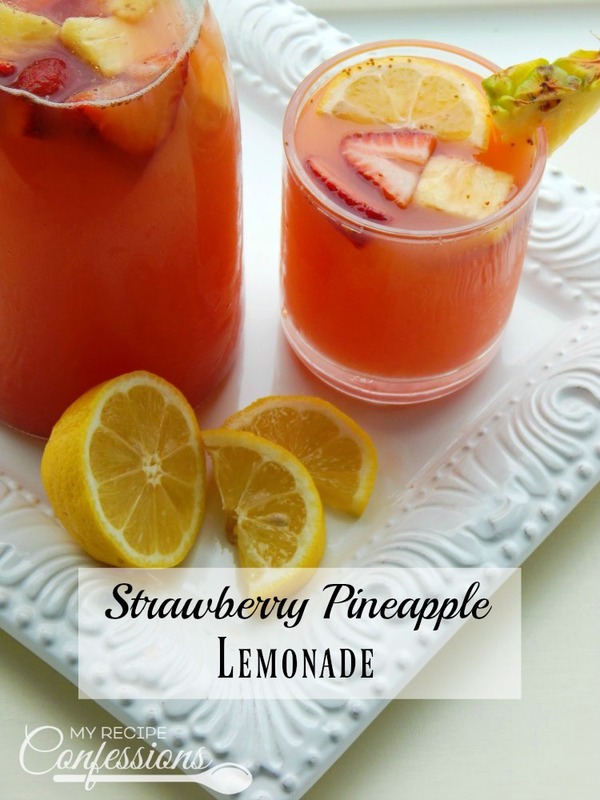 This Strawberry Pineapple Lemonade is the perfect summer drink to sip while you sit on the front porch and enjoy the warm weather. One of my favorite things to do, when I need to unwind is to sit on my porch and read a good book. It rarely happens because, with five kids, there is always something going on to fill my day. Don’t get me wrong, I love being a mom. I have just learned over the years that you have to sneak in a chance to relax whenever you can. I am already dreaming of sitting on the porch with my feet up, a good book, and sipping some Strawberry Pineapple Lemonade. Doesn’t that sound heavenly? 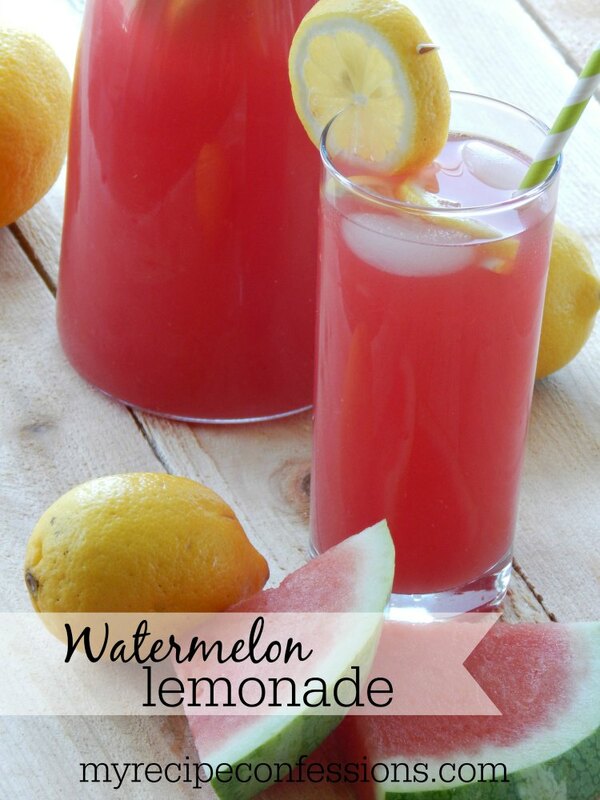 This lemonade is so refreshing and can take the stress out of any bad day! Maybe, if you are really lucky, you can convince your husband this Mothers Day weekend to make you some while you sneak outside on the porch to put your feet up and unwind. 1. 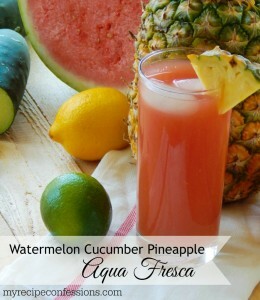 Place the strawberries and 1/2 cup of water in a blender and puree. Strain the strawberries through a fine sieve to remove the seeds. 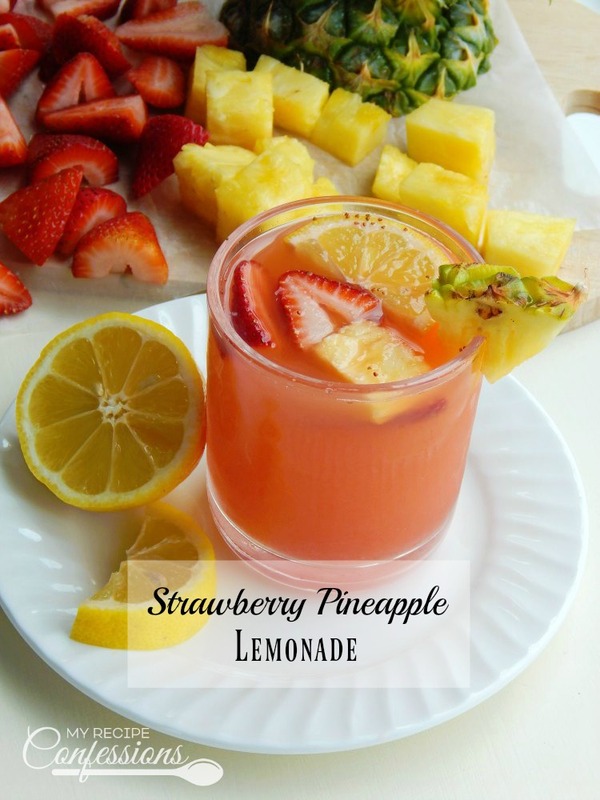 Pour the strawberry puree, pineapple juice, lemon juice, simple syrup, and the remaining 3 cups of water in a 2-quart pitcher. Chill before serving. 1. In a sauce over medium-high heat, bring water and sugar to a boil. Continue to boil until the sugar is completely dissolved. Remove from heat and cool. *Simple syrup can be made a few days ahead of time and covered and stored in the fridge until ready to use. 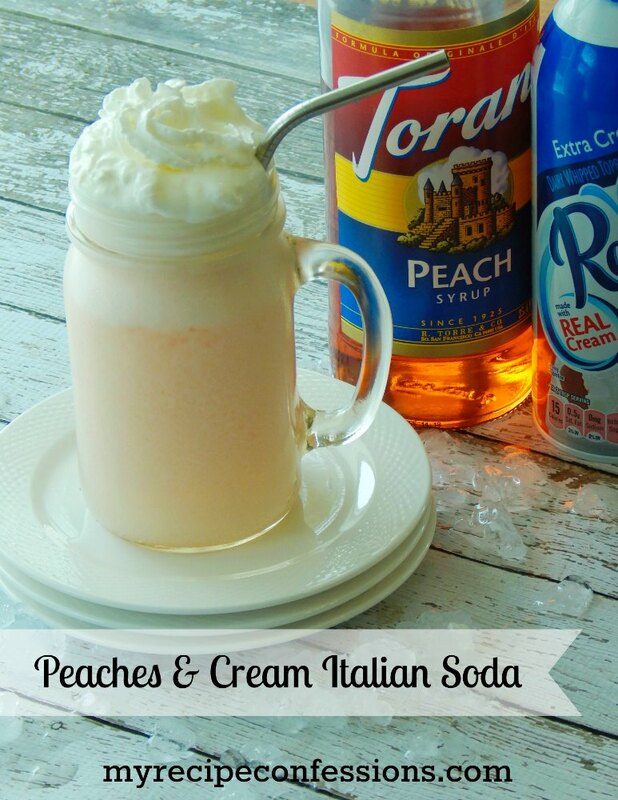 Here are a few other beverage recipes you might enjoy. Hi Carrie. This sounds so yummy. How much pineapple juice does the recipe call for? I am sorry. I really missed the boat on that one. The recipe calls for 3 cups of pineapple juice. Thanks for being so patient with me! Nope, you only add the water once. Sorry about that! Thanks for bringing that to my attention. Have a great weekend! I just updated the recipe. It calls for 3 cups of pineapple juice. Thanks for being patient with me!